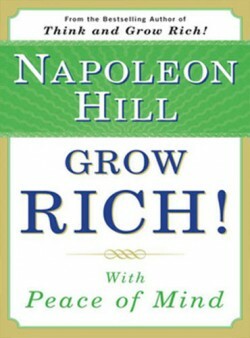 Think and Grow Rich is Napoleon Hill's most popular book, summarizing his Philosophy of Success and explaining it for the general public. 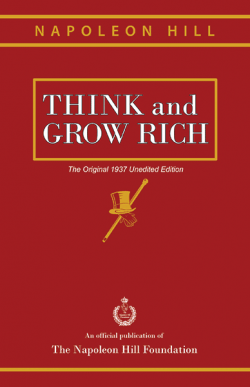 The only version of the book we at the Napoleon Hill Foundation currently recommend is Think and Grow Rich: The Original 1937 Unedited Edition. 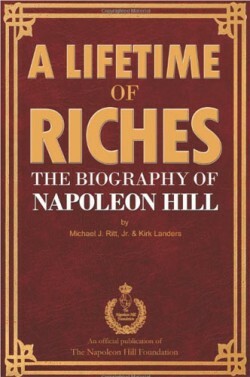 This edition is a reproduction of Napoleon Hill’s personal copy of the first edition, printed in March of 1937. Napoleon Hill’s words have positively influenced millions of people worldwide. His books, lectures, magazine articles, and audio and video programs have shown them the way to personal and professional achievement. 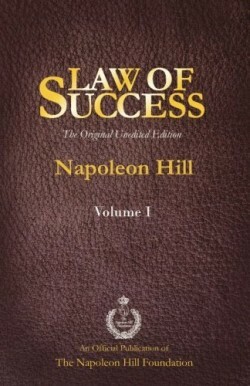 So in response to popular demand, and with great pride, the Napoleon Hill Foundation and its Board of Trustees present this edition of Dr. Hill’s classic course, The Law of Success. 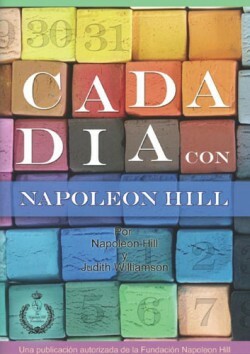 To preserve the integrity of Napoleon Hill’s ideas, the text of his first published work is largely unmodified. Our changes have been small. Specifically, The Law of Success was originally released in eight volumes; beginning with the third edition, the eight volumes were combined into one facsimile volume. We now present The Law of Success in four volumes, newly typeset for modern digital printing processes. 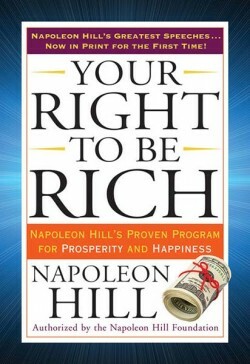 Your Right to Be Rich gathers transcripts from the most vital and important speeches given by Napoleon Hill. Available in the past only as audio editions and sound-bite snippets, transcripts from these speeches will be presented in print for the first time here. 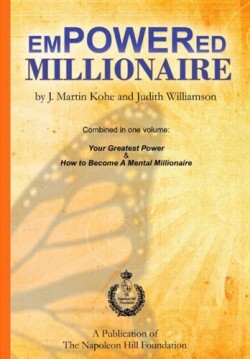 Napoleon Hill wrote this book in 1938, just after publication of his all-time bestseller, Think and Grow Rich. This powerful tale has never been published, considered too controversial by his family and friends. Napoleon Hill was and is an American treasure. He was a confidant of presidents and statesmen. The prominent men of several generations freely revealed their secrets of success to him. But he never forgot his humble origins. He considered it his sacred obligation to share with the world the knowledge about personal achievement that he had accumulated during his rich and varied life. I shall be eternally grateful that I was privileged to know well this great man, and I hope that through the pages of this biography, you too can come to know the man who helped millions of ordinary people discover the greatness within themselves. 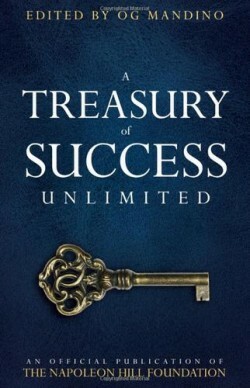 —Michael J. Ritt, Jr.
A Treasury of Success Unlimited brings together 47 of the best articles from the 20th century's preeminent success magazine! W. Clement Stone, Dr. Norman Vincent Peale, Og Mandino, Napoleon Hill, Ben Sweetland and many other leaders and achievers share their wisdom and their stories so that you, too, may enjoy success unlimited! El primer mandamiento para el éxito según W. Clement Stone es – ¡Hacerlo Ya! Al poner en práctica este punto de vista que sugiere el mandamiento, los que lo aplicamos confirmamos que podemos tener más logros, vivimos con menos estrés y remordimientos, nos volvemos más disciplinados, y demostramos mayor persistencia personal. Todas estas cualidades contribuyen a hacer de nuestro único mundo en que habitamos un mejor lugar simplemente ¡haciendo las cosas al momento! 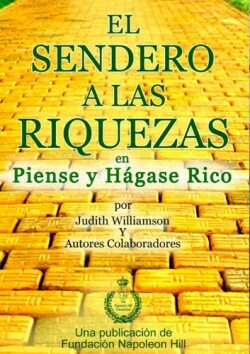 Leyendo un capítulo por semana y traduciendo en acción cada mensaje aprendido, en muy poco tiempo su vida dará un giro dentro de su comunidad local, al transformarse en una persona que toma las riendas y emprende acciones hacia adelante. Si lee un poco más, su fama se extenderá a nivel nacional como una persona con la que se puede contar para todo trabajo. Y, finalmente, si opta por realizar un esfuerzo adicional (la milla extra), entonces su fama llegará hasta un plano internacional y se le reconocerá como una persona emprendedora y creativa. Al trabajar mediante un proceso así, pronto se convierte en el guionista de la historia de su propia vida y en el creador de su propio progreso y éxito. ¡Hágalo ya! o de lo contrario se privará de todas las bondades que la vida le ofrece. ¡Sea siempre el mejor! 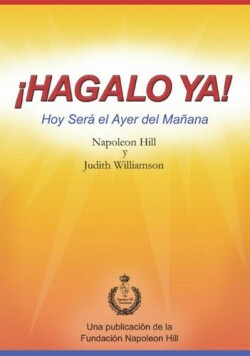 Judith Williamson Directora del Napoleon Hill World Learning Center U.S.A. In 1952, W. Clement Stone and Napoleon Hill joined forces and philosophies. 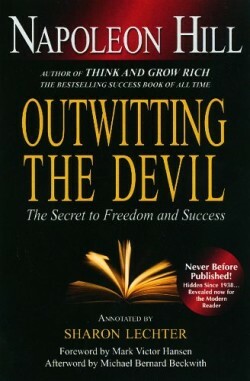 Stone added his Positive Mental Attitude (PMA) concept to Hill’s principles, resulting in the classic book, Success Through a Positive Mental Attitude. The two men spent the next 10 years writing and lecturing about the story of success through PMA. Their formula was to become the foundation for virtually all modern motivational writing. 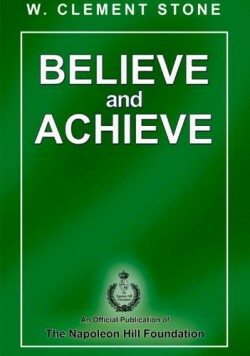 Believe and Achieve explains exactly how the personal, intellectual, attitudinal, fraternal, and spiritual principles used by the likes of Andrew Carnegie, Henry Ford, and F. W. Woolworth—as well as modern achievers like Tom Monaghan, Mary Kay Ash, Larry King, and Steve Jobs—12 Believe & Achieve can be applied by you to reach your goals. Believe and Achieve is not the last word on creating success; that story will continue to evolve as long as the human race endures. Instead, the Napoleon Hill Foundation hopes that it will be nothing more than the first words in the next chapter of your life: the first of many chapters in which success is the theme. Financially, I achieved a lot through the books authored or co-authored by Dr. Hill. 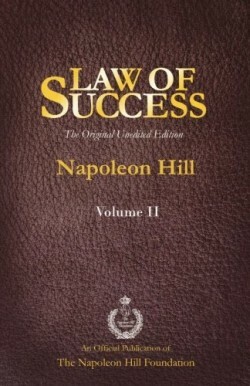 It is worthy of note that about 95% of the material wealth I have acquired in life was inspired by the Principle of Success teachings espoused in Dr. Napoleon Hill’s various writings. Thus, the business, which I commenced with a capital of about $2.00 (300 Naira) on July 14, 1975, being my 2 years earnings, working as an office boy in my Uncle’s Law firm, has today blossomed into a multi-million dollar business empire. Added to this is the fact that at a time when it looked like I would end up with only primary school educational qualification, I was inspired to further my educational pursuit owing to the enormous inspirations I drew from reading Dr. Hill’s writings. Today, I have not only acquired secondary education but also a University education at the highest level. 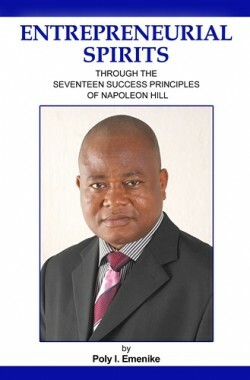 In other words, Dr. Hill’s books have had a catalytic effect on my desire to become an educated business man; I now possess good University degrees at the Bachelors and Masters Level from a very reputable university in Nigeria, University of Lagos. So, if I relatively have peace of mind today, it is due to the consciousness raised in me about the potential opportunities available for me to tap from by Dr. Hill’s books. In this exciting book, the renowned author of THINK AND GROW RICH, Napoleon Hill, reveals his latest discoveries about getting what you want--and making the most of it. Here, in simple, readable language, are the foolproof techniques for achieving the power to earn money and to enjoy genuine inner peace. You wil learn: how to succeed in life, succeed in being yourself; how to develop your own healthy ego; how to win the job you want--and keep going upward; how to turn every challenge into a new success, and more.